News. X3D-Edit 3.3 is now available. It is a complete rewrite, replacing the X3D-Edit 3.1 tool described on this page. This page is provided for historical purposes. X3D-Edit 3.1 is a graphics file editor for Extensible 3D (X3D) that enables simple error-free editing, authoring and validation of X3D or VRML scene-graph files. Context-sensitive tooltips provide concise summaries of each VRML node and attribute. These tooltips simplify authoring and improve understanding for novice and expert users alike. X3D-Edit Auto Installer is available online for various operating systems (Windows, Mac, Linux, Solaris and other Unix). 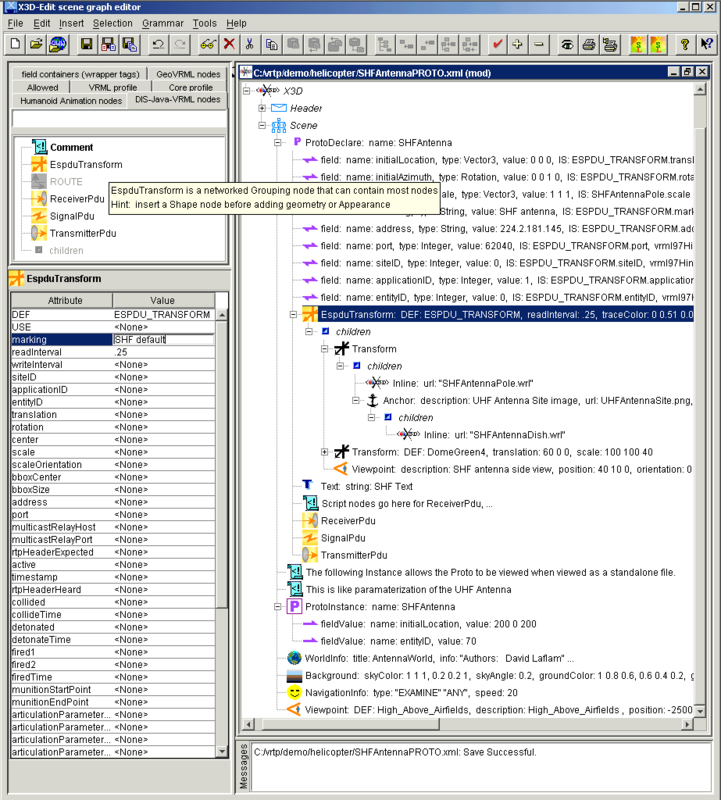 X3D-Edit 3.1 uses the X3D 3.1 tagset defined by the X3D 3.1 Document Type Definition (DTD) in combination with Sun's Java, IBM's Xeena XML editor, and editor profile configuration files. See X3D Help for further X3D resources. X3D-Edit 3.1 implements the Extensible 3D (X3D) tagset for the next-generation Virtual Reality Modeling Language (VRML 200x). X3D-Edit also exercises various X3D graphics rendering and translation implementations. Latest updates of software and examples:	see build.date.X3D-Edit.txt. Version 3.1 matches X3D 3.0 International Specification (Summer 2004) and adding components from X3D Amendment 1 (Winter 2005). Also ongoing: testing X3D Schema (x3d-3.1.xsd) against several thousand X3D examples using a project file for XML Spy. Web3D Specifications for Extensible 3D (X3D) Graphics, Humanoid Animation (H-Anim) and the Virtual Reality Modeling Language (VRML 97) are now included. X3D-Edit Authoring Tool for Extensible 3D (X3D) Graphics provides a six-page summary of X3D-Edit features and usage. Also available online: Powerpoint slides and html slides. This position paper was presented at the ACM SIGGRAPH/Eurographics Campfire on Production Processes for 3D Computer Graphics Applications, Snowbird Utah, June 2-4 2002. VRML Import capability for conversion to X3D, using the NIST Vrml97ToX3d translator. Now, depending on your choice, either paste from clipboard on top of an existing scene X3D node, or else select the newly created document. Pasting into a new document on top of the X3D node is preferred because it has a proper DTD attached. Important final step: Save As a new .x3d scene. Otherwise you may get an obscure console message (java.lang.StringIndexOutOfBoundsException: String index out of range: -1). Further editing and VRML/HTML stylesheet outputs will now work. Tooltip support: Chinese, English, French, German, Italian, Portuguese and Spanish. Work on additional translations is underway to further improve Internationalization (i18n) support for X3D tooltips. Three XSLT translation buttons now provided: Internet Explorer VRML, Netscape VRML, Internet Explorer HTML. This makes it easier to test scenes in multiple browsers, and provides better support for DIS Profile which only runs under Netscape security model. Added accessType (eventIn/eventOut/field/exposedField) information for all VRML 97 nodes. Now bundling the NIST Vrml97ToX3d translator in the x3d/content directory. This distribution now includes Vrml97ToX3d.jar and Vrml97ToX3d.bat. We have integrated this functionality as a VRML Import button in X3D-Edit. Updated support for recent improvements for the Distributed Interactive Simulation (DIS) profile. Attribute validation is now reported during stylesheet translation from X3D to VRML. 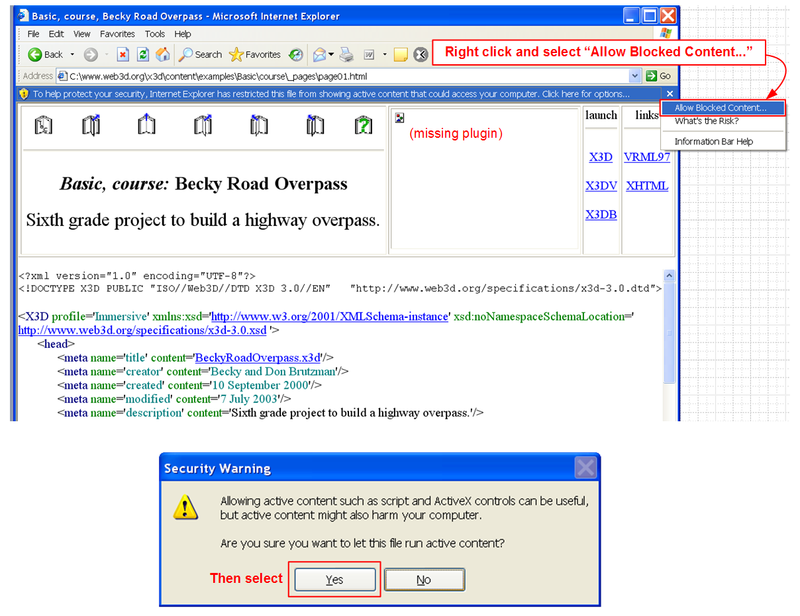 A large set of detected errors and warnings are displayed in the status window. Numerous dependency checks reveal semantic errors with Prototype, Script, field, fieldValue, ROUTE scoping and IS constructs. Support for revised LatticeXvl (XvlShell tag). HTML output has improved color coding, enabling better readability and manual annotation of ROUTE and IS relationships. Tooltip pages are now available for Chinese, English, French, German, Italian, Portuguese and Spanish. The tooltip translations are recorded using XML configuration files, meaning that our future deliverables for VRML 200x/X3D can contain standards-based internationalization (i18n) support. X3d-Edit-Chinese.bat launches X3D-Edit using tooltips in Chinese. X3d-Edit-French.bat launches X3D-Edit using tooltips in French. X3d-Edit-German.bat launches X3D-Edit using tooltips in German. X3d-Edit-Italian.bat launches X3D-Edit using tooltips in Italian. X3d-Edit-Spanish.bat launches X3D-Edit using tooltips in Spanish. Alternatively, modify your environment variable with SET X3dLanguagePreference=Chinese or SET X3dLanguagePreference=French or SET X3dLanguagePreference=German or SET X3dLanguagePreference=Italian or SET X3dLanguagePreference=Spanish. The regular X3D-Edit icons then execute en Français or en Español etc. X3d-Edit-English.bat launches X3D-Edit using tooltips in English (overriding any other preference setting). Many thanks to our translators. Chinese tooltips: yiqi meng of Nanjing Art Institute, Nanjing China. German tooltips: Raimund Dachselt and Johannes Richter of the Multimedia Technology Group, Dresden University of Technology, Germany. Italian tooltips: Roberto Ranon of the L'Universita degli Studi di Udine, Italy. Spanish tooltips: Guadalupe Mu�oz Mart�n of of University Rey Juan Carlos, Madrid Espa�a. Candidate translators: please subscribe and advise www-vrml@web3d.org of your intentions so we can avoid duplication of effort. There is plenty of good work to share! Upcoming work: place all tooltips under CVS control for better maintenance. Upcoming work: integrate tooltips with X3D Schema. Other language translations are welcome. Please contact Don Brutzman (brutzman at nps.navy.mil) for further details about how to volunteer - you'll be in good company. "How are tools put together" diagram: XML Tool Relationships for X3D. Education: We're using X3D-Edit to teach a VRML/X3D course. Reducing content bugs and eliminating the syntax idiosyncracies of VRML really helps! Using the beta version January-March 2000, we got through the material in the VRML 2.0 Sourcebook one week faster than in previous versions of this course. We are making similarly excellent progress using the current version of X3D-Edit. X3D versions of sourcebook examples (270 total!) are available on the X3D Examples for Vrml 2.0 Sourcebook site. Suggestions and improvements regarding X3D-Edit installation/usability are welcome. Discussion of this tool occurs on the www-vrml mail list. You will need to be logged in with administrator permissions to perform some of these installations. Recommended installation: AutoInstaller. 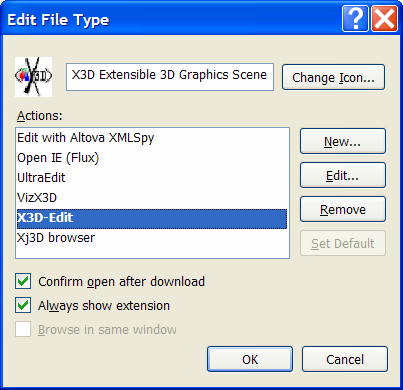 X3D-Edit AutoInstaller for various operating systems (Windows, Mac, Linux, Unix/Solaris). Once installed, and once you have a VRML plugin (step 1 which follows), you can update to new revisions by skipping ahead to step 7 and simply extracting the updates on top. If you prefer to install X3D-Edit manually, follow steps 1-6 instead of using the autoinstaller. Install one of these free Virtual Reality Modeling Language (VRML) plugins in your web browsers. These plugins can work with any combination of Netscape and Internet Explorer. MediaMachines Flux X3D/VRML97 plugin for Internet Explorer. Experimental, now SIGGRAPH 2004 Beta 2 release. 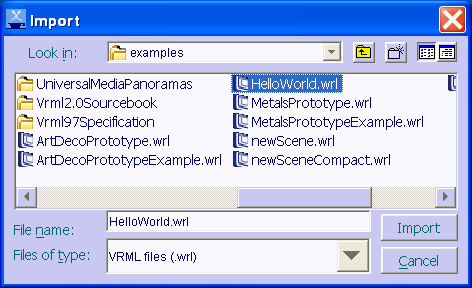 To see if your VRML-browser installation worked, try viewing the HelloWorld.wrl example scene. Install Java using one of the online distributions. 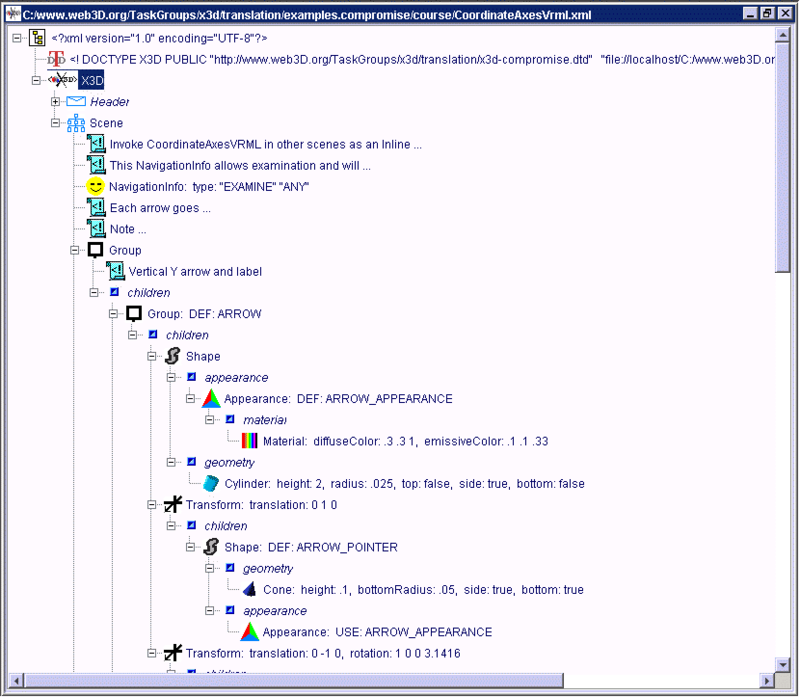 (Java is needed in order to run the Xeena tool.) 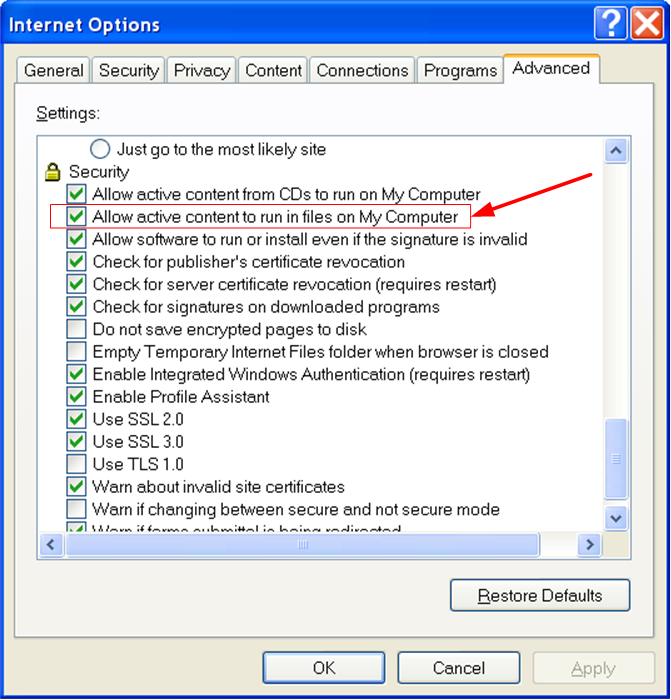 When installing, you will need to acknowledge the nonrestrictive Java license. Download and install Xeena from IBM Alphaworks http://www.alphaWorks.ibm.com/tech/xeena (~5MB). Make sure that you retrieve version 1.2EA, not version 1.1. 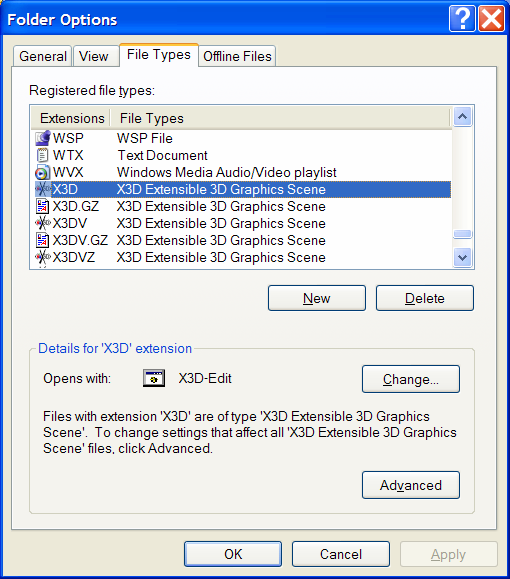 Xeena is used to build to the X3D-Edit tool. You need to acknowledge the nonrestrictive licenses. It is best to stick with the default installation C:\IBM\Xeena subdirectory. When Xeena asks for which version of Java to use, select Java 2 (Runtime Environment or SDK). No "proxy host" entry is needed, this is for use behind restrictive firewalls. Default values on other entries work fine. Go ahead and view the example "addressbook" example. If you get an "Out of environment space" error, see the bugfix below. Once installed, Xeena details can be found on the Help (user guide) page, installation README page, and Frequently Asked Questions (FAQ) pages. Once installed, test installation by running the Xeena AddressBook DTD Example. If you need an unzip program, get PKZIP (from http://www.pkware.com). You can also unzip a zipfile using Java as follows. Be sure to run this from your topmost (root) subdirectory. For GeoVRML extension support, you may need to also install GeoVRML. For DIS-Java-VRML extension support, you may need to also install DIS-Java-VRML. The ConformanceNist Examples are also viewable online at http://www.web3d.org/x3d/content/examples/ConformanceNist. See Usage for further X3D-Edit directions. See Bugfixes if you've encountered trouble with X3D-Edit. See X3D/VRML Help for further X3D resources. Support for DIS-Java-VRML extension nodes, specified by the DIS-Java-VRML Working Group (http://www.web3d.org/WorkingGroups/vrtp/dis-java-vrml) with ongoing design testing & evaluation. Support for editing georeferenced GeoVRML nodes, specified by the GeoVRML 1.0 profile (http://www.geovrml.org/1.0/doc). Support for proposed new nodes KeySensor and StringSensor. However, note that Prototype support is not yet implemented for keyboard nodes. Support for proposed Non-Uniform Rational B-Spline (NURBS) Surface extension nodes, proposed by blaxxun interactive with ongoing development & evaluation. However, note that complete Prototype support is not yet implemented for Nurbs nodes. X3D-Edit Version 3.0 X3D Draft International Specification. Modifications described in the x3d-dtd-changelog.txt. X3D-Edit Version 2.4 includes DTD renumbering to 3.0 for final testing of the X3D Final Committee Draft (FCD) Specification. Version 2.4 also includes several significant tagset changes: ProtoInterface/ProtoBody, containerField, fields with accessType inputOnly/outputOnly cannot be set, plus further strict X3dToVrml97.xslt conversion validity checks. X3D-Edit Version 2.3 includes addition of Geometry2D, MultiTexture and Event Utility nodes, plus significant tagset changes to IS/connect, field/fieldValue USE, type and accessType renames, etc. X3D-Edit Version 2.2 includes VRML Import capabiltity. more compact tagset: <proxy> eliminated while attribute containerField denotes default parent-child relationship names, <proxy> node illegal (employ USE="nameTargetDEF" attribute instead). Global 'class' attribute reserved for future use by XML Cascading Style Sheets (CSS), similar to HTML stylesheet use. IMPORT/EXPORT experimental support provided for routing values into and out of Inline nodes. X3D-Edit uses the Xeena 1.2 EA release. X3D-Edit Version 2.0 includes changes to nodeType and accessType attributes, as well as validation of attribute values. X3D-Edit Version 1.8 includes changes to the header tagset. X3D-Edit Version 1.7 includes DIS-Java-VRML, GeoVRML and H-Anim node support. Now using the x3d-compact.dtd tagset (no wrapper tags). Version 1.6 corresponds to x3d-compromise.dtd (October 2000) + full Sourcebook examples, KeySensor + StringSensor + NURBS. This version and corresponding examples both use the x3d-compromise.dtd with wrapper tags. Available at X3D-Edit-1.6.zip with X3D-Examples-1.6.zip. X3D-Edit is a thoroughly tested tool. X3D-Edit has been used to author a diverse set of X3D/VRML scenes as follows. X3D-Edit files are open-source public-domain products from the X3D Task Group. The nonrestrictive Sun license for Java and the nonrestrictive IBM license for Xeena are provided when downloading/installing each of those tools. IBM has generously agreed to allow the Web3D Consortium include Xeena on the Web3D/X3D Software Development Kit (SDK). Launch icons for X3D-Edit are placed on the Windows 95, 98, NT and 2000 desktops. A copy of the X3D-Edit launch icon is also available in the C:\www.web3d.org\x3d\content subdirectory. Xeena details. Good things still worth checking out: local copy of the installation README helps troubleshoot installation problems. You can learn all about the user interface by reading the Help (user guide). Anything else might be found on the Frequently Asked Questions (FAQ) page. This section no longer pertains to the current version of X3D. You can safely ignore it, documentation of the compact and compromise forms is retained for archival purposes only. You can easily simplify legacy content to remove "wrapper tags" (<children> <appearance> <geometry> etc.) by using X3dUnwrap. This also lets you upgrade to X3D-Edit version 1.7 from earlier versions. Select Tools then Process XSL from the top menu. Use the X3dUnwrap.xsl stylesheet as shown to unwrap your scene. Backing up your original file (or saving to a different filename) is a good idea. The Process XSL window can be stretched left-right for easier reading. The stylesheet also updates the tagset document type definition (DTD) from x3d-compromise.dtd to x3d-compact.dtd. 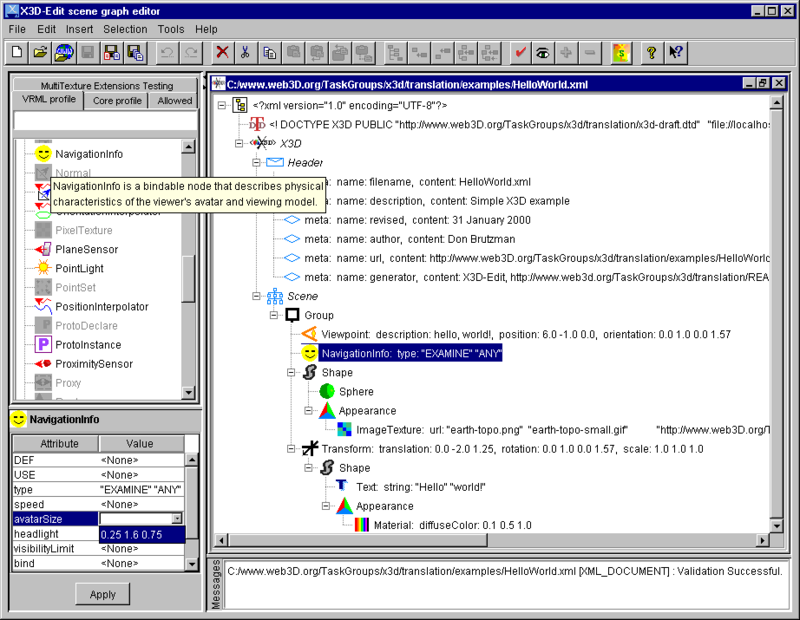 Example screen snapshots show "before" (compromise wrapper tags, X3D-Edit version 1.6) and "after" (compact unwrapped, X3D-Edit version 1.7) scene graphs. Some miniscule detail about this project follows. This is primarily for documentation purposes and is not needed for regular use. Besides X3D-Edit.bat, example Xeena editor invocations under Windows follow. Edit to match your your locally installed subdirectories as needed. There are many example invocations and shortcuts in the Makefile. Not recommended (which means "skip this section"). If you insist on changing the installation directory (!) then you will need to edit the second line (DOCTYPE) of x3d-compromise.dtd, and you will also need to edit the following files: x3d-compromise.profile.X3D-Edit-1.6, x3d-compromise.profile, X3D-Edit-1.6.bat, X3D-Edit.bat and Makefile (if used) to match your local directory structure. You will likely have to edit the examples as well, though if you are connected to the network, Xeena will try to find the website version of the DTD. 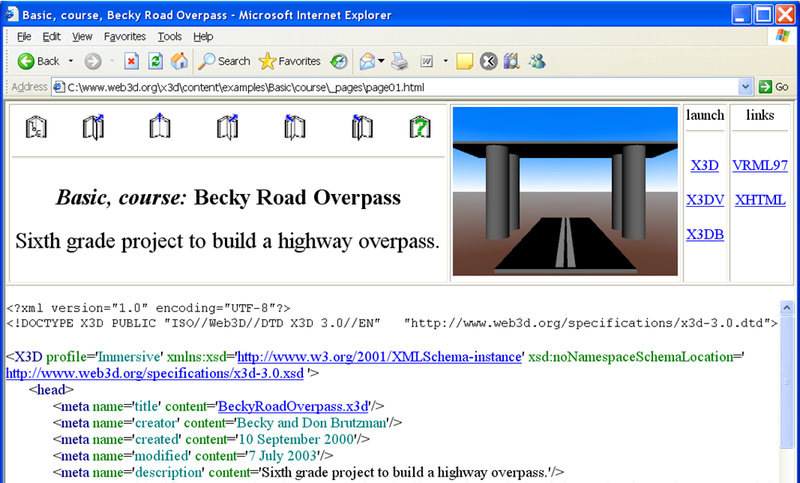 There are several compliant Extensible Stylesheet Language (XSL) processors available because the W3C XSL Recommendation (http://www.w3.org/TR/xslt) is stable (November 1999). One excellent XSL transformation engine is SAXON at http://saxon.sourceforge.net - this includes "Instant Saxon," a 250KB Windows command-line executable. X3dToVrml97.bat shows how to invoke saxon and the following tools. Bob Crispen's vpp tool at http://hiwaay.net/~crispen/vrml for VRML pretty printing. An edited copy of vpp is included in this distribution with bigger MAXBUFSIZE for our big test-file comments. Thanks Bob! Many bugs are avoided altogether (especially Windows ME and 98) by using the X3D-Edit Auto Installer for various operating systems (Windows, Mac, Linux, Unix/Solaris). 0. X3D-Edit can't open example scenes due to being disconnected from the network. The underlying Xeena tool can't be modified to substitute local DTDs for online DTDs, causing a validation error when opening most scenes when offline. The best correction to this problem is simply to connect to the network. Example console output shows normal X3D-Edit operation. A normal program exit allows the executing batch file to convert the DOCTYPE back to final form. Windows workaround #2: open X3D scenes one at a time by clicking on them from Windows Explorer. Configure Windows Explorer to recognize .x3d files via the Tools menu, selecting Folder Options and entering the .x3d file type as follows. Java-based workaround #3: use the X3dDtdChecker tool to convert DTD references. Manual workaround #4: refer to the X3D Scene Authoring Hints and use a text editor to manually change the DOCTYPE. 1. Xeena/X3D-Edit works under JDK 1.4, except for the "Allowed Nodes" pane. Workarounds: use the other panes, install the X3D-Edit Auto Installer version, or supplement JDK 1.4 with JDK 1.3.1_09 instead. 2. A common installation problem follows. This can occur under Windows 95, Windows 98 or Windows Millenium (ME). The fix is the same either way.
] If you're running Windows 95/98/ME, and encounter an "Out of environment space"
] error, then you'll need to increase the size of the environment table. Alternative for Windows Millenium (ME) from Tom Greenwald, NPS.
] (DPMI) memory to 8192. You may need to reboot your computer for these changes to take effect. You will also have to repeat this step whenever you update X3D-Edit, so you may prefer the permanent change above. To fix this problem: uninstall Xeeena 1.1, install Xeena 1.2 EA, and again extract X3D-Edit.zip (to correct the Xeena CLASSPATH bug). Or simply uninstall X3D-Edit and use the autoinstaller instead. 4. After importing a VRML97 scene, the XSL buttons do not work. Fix: save the imported scene as a file. This may require renaming your scene if it was originally a read-only file (such as newScene.x3d). The XSL buttons now work. See above for more instructions on using the VRML97 Import capability. You will need 128MB of RAM or more. Yes, 128. 6. The window goes blank and locks up before displaying a scene. This is likely a DOCTYPE/DTD problem: Xeena is attempting to retrieve the DOCTYPE/DTD via the network, without success. When using Java 1.3 or earlier, this problem can only be fixed by replacing the DOCTYPE/DTD or else by connecting to the network, thus gaining access to the final DTD url. 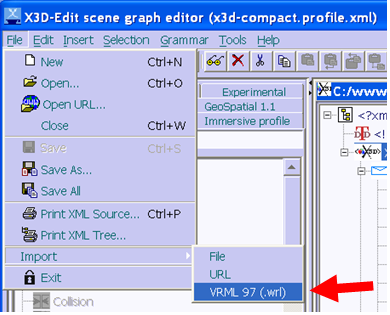 manually edit the scene first (in another XML/text editor) to use the X3D Transitional DTD. 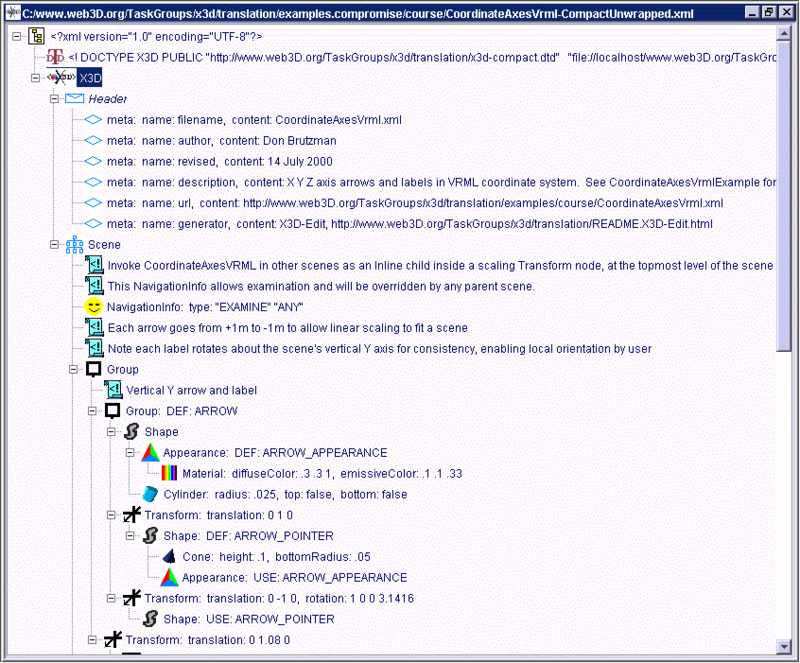 See the X3D Scene Authoring Hints for further details on DOCTYPE. 7. You want to use an http proxy server. The http proxy server feature is for loading a file via the Web. Not a very common setting, but nice to have nevertheless. You will need to uncomment and update the line in X3D-Edit's modified C:\IBM\Xeena\Xeena.bat for set PROXY_SETTINGS. Warning: we've had trouble with this feature under Windows 98. Make is not necessary to run X3D-Edit, it is only used for X3D-Edit source development. The Makefile is being replaced by an Ant build file. Make is available via the Cygnus distribution of GNU Utilities for PCs at http://sourceware.cygnus.com/cygwin. The Cygwin distribution provides Unix command line and utilities on Windows 95/98/NT/2000. Don't forget to upgrade your PATH with something like C:\cygnus\cygwin-b20\H-i586-cygwin32\bin;. Once Make is installed, edit the Makefile filename/directory definitions to match your local installation. There are a bunch of alternate example invocations in the Makefile if you know how to grok Make. 9. X3D-Edit can't seem to find the correct version of Java. Set the JAVA_HOME environment variable to the installation directory for Java on your system and X3D-Edit will use Java accordingly. 10. No X3D scene appears in the browser. Install a VRML or X3D plugin in your Web browser. 11. Internet Explorer (IE) blocks viewing the 3D scene. The following screen snapshots illustrate this problem and 2 solutions. When the plugin is blocked from showing content, the following warning bar appears near the top of the browser. Right click and select "Allow blocked content..." then select "Yes" to confirm. Similar selections can be made for automatically running content from a CD, over the Internet, etc. 12. How do I quickly update X3D-Edit and examples? Menu shortcuts are provided under windows to easily retrieve updates. 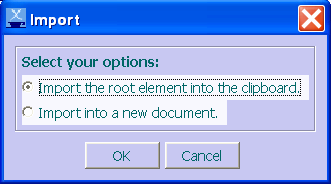 Always extract all .zip files to the C:\ root directory. 13. IBM Haifa was very attentive in responding to bug reports regarding Xeena, the interface tool. Unfortunately, despite the popularity of Xeena, their team is no longer working on this tool. We hope to fix known Xeena bugs someday. Nevertheless it still usually works fine for X3D-Edit.